As we continued on our cafe hop, we realised that Maison Ikkoku was actually located just a 5 minute walk from La Marelle, so we decided to turn the corner and see what lay in store for us. I knew that Maison Ikkoku wasn’t halal from the quick glance I had at their website but I also knew that they stocked cakes from Spatula Bakery (which are, according to their website, all the baked goodies come from a Muslim kitchen and are made with halal ingredients) as I’ve seen it on their Instagram so I managed to convince Kit (not much convincing needed) to stop by Maison Ikkoku before we headed to check out the rest of our cafes. 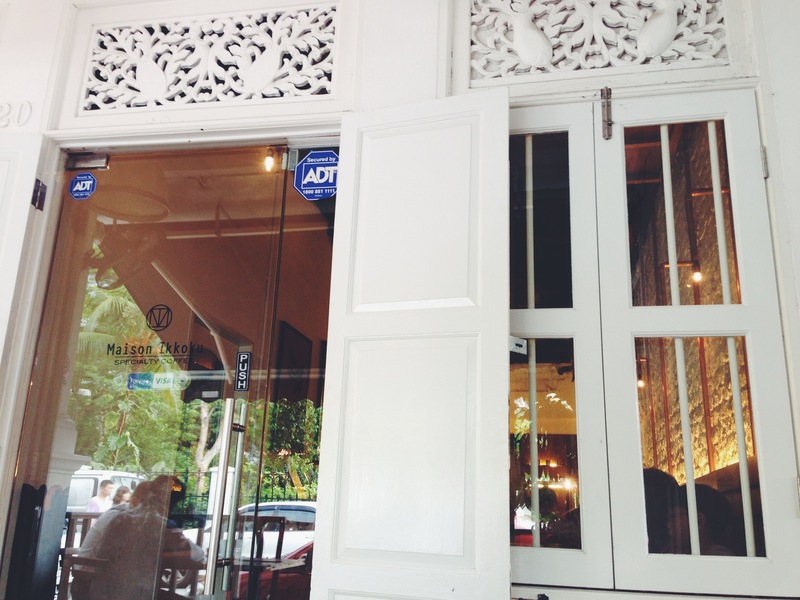 Maison Ikkoku is actually quite conveniently located near Sultan Mosque just beside Warung Pariman (just turn the corner from Warung Pariman). It was quite packed so Kit and I got a seat outside after we placed our orders – a earl grey tea for Kit, syphon coffee for me and a slice of Orange Creamsicle from Spatula Bakery for us to share. 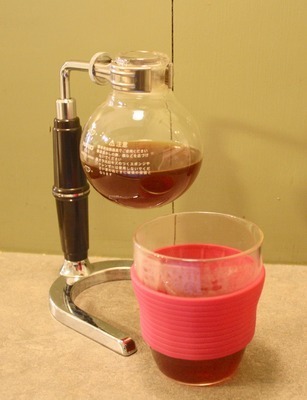 Syphon coffee comes served in a laboratory-style, glass beaker and sipping on a cup is much closer to the experience of enjoying wine or a flavoured tea, rather than that of a creamy, milk, drink. With syphon coffee, the beans are roasted at a much lower temperature than other types and remain fairly green, even after being in the oven. After being ground, the powdered beans are steeped in hot water and stirred. The coffee drink is then pulled through a fabric filter from its pot, into a clear receptacle, using a natural cooling and vacuum process. However, the coffee I got was really sour and thin. I don’t know if it was a problem with the blend or the process of making the coffee but it wasn’t a nice experience for me. While I normally order lattes, I really wanted to try syphon coffee because there are not that many cafes in Singapore (that I’ve come across to date) that carry it. Needless to say, I did not have a pleasant experience, this time. Maybe a different cafe, and a different coffee blend. My cake was dense, like I remember Spatula’s cupcakes to be as well. This may not necessarily be a bad thing if you like dense cakes but Kit and I are fans of light and fluffy cakes so we were not in favour of this cake. 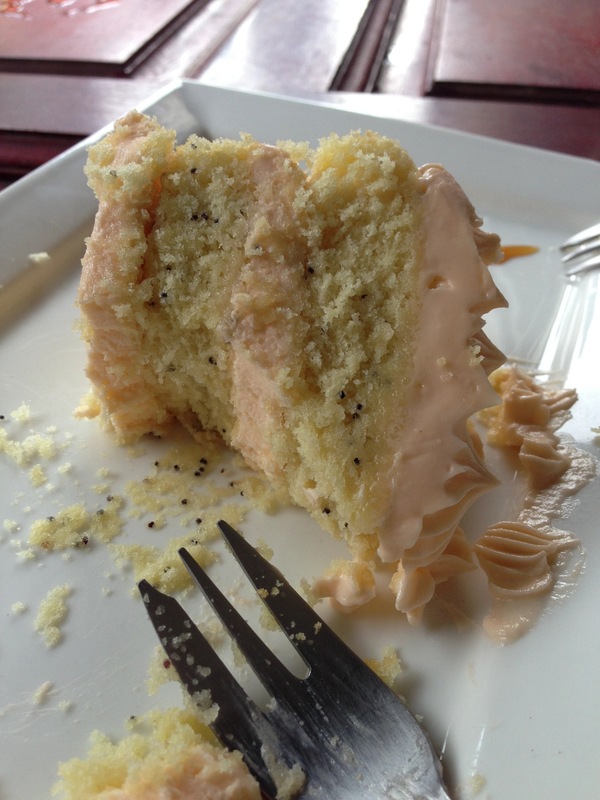 Having said that, I did like the addition of poppy seeds to the cake, but I really wish it was a little bit lighter. I’d have enjoyed it even more. So we left Maison Ikkoku feeling slightly disappointed with what we had, dessert and coffee wise. The interior was beautiful and the ambience too, but perhaps, it was our wrong choice of coffee and cake that made it a less pleasant experience than we would have liked. How to get there: Bugis MRT and walk towards Sultan Mosque, then opposite the mosque you will see Warung Pariman. Turn the corner to find Maison Ikkoku. Our verdict? ♡ ♡ and a half / ♡ ♡ ♡ ♡ ♡ (2.5 out of 5 hearts). Hi there 🙂 Thank you for your comments! Yes, we are aware of their Halal pop-up store there but unfortunately, they are neither Halal-certified nor Muslim-owned and we do not want to mislead our readers into thinking otherwise. We did email them and look into it though. I think we mentioned on our Instagram that their bakes are from Halal bakers, so that’s quite safe 🙂 Hope you have a good day ahead!